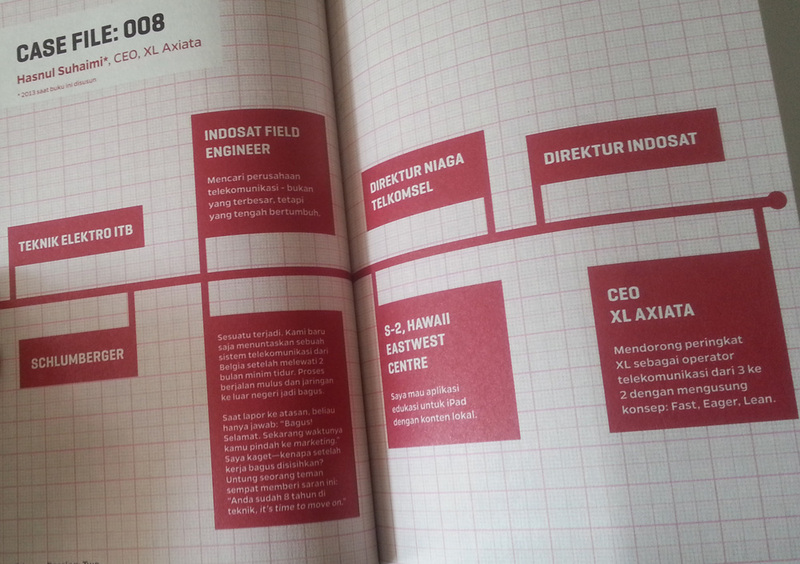 This book is the latest work of one of the brightest career coach in Indonesia, Coach Rene and his team, Impact Factory. While the previous book (titled Your Job is not Your Career) is more about how to build your career (remember, career is totally different and bigger than your professional job), this book is telling us that passion is no longer enough, although ‘pursuing your passion’ is a very common phrase nowadays. 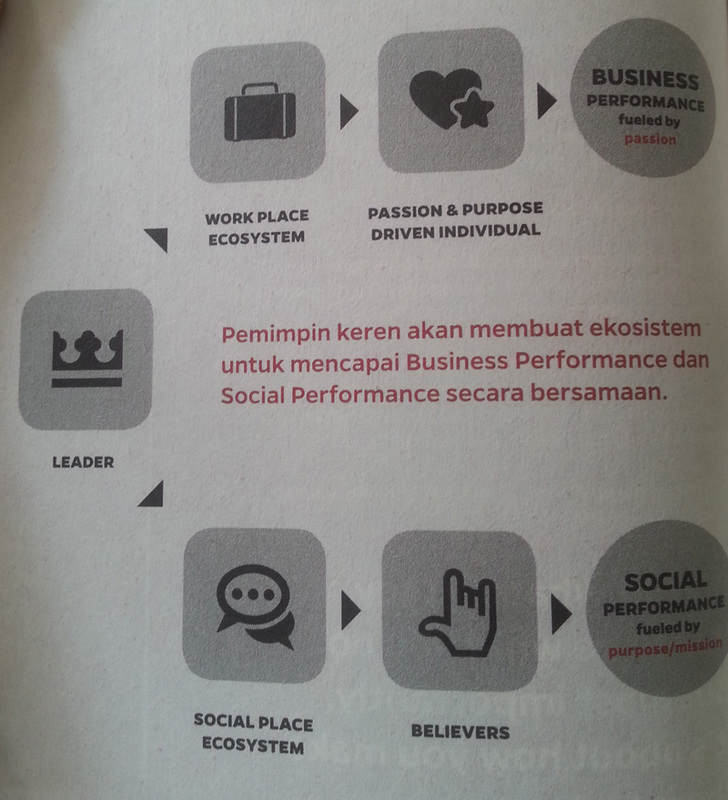 This book is not based on imaginative work, but it is backed with accurate data based on survey on top performers and low performers in many companies, across 11 industries sector in Indonesia. So, I guess, this book is comprehensive enough to reflect the real conditions of our worker these days. As we know, a good passion will motivate us to deliver a valuable, good, and motivating ‘masterpiece’. The so-called masterpiece here is not always something huge like Michaelangelo’s David, Leonardo Da Vinci’s Monalisa, or even nowadays ‘masterpiece’ like iPhone by Steve Jobs, Facebook by Mark Zuckerberg. If you build something that useful to another and it brings you a lot of energy when you are doing it, it can be considered as masterpiece, though. Of course, the better your masterpiece to solve problems, the bigger impact it will have. It’s no longer sufficient for us to say we have these passions, we don’t have time, resources bla bla bla. Just do it, just start the first small steps. And while you’re doing it consistently, it’s assured that your skill is getting better and you will love more what you’ve been done. Through a research, Impact Factory team has found this top 4 drivers of the top performers. When I read this 4, I am reminded of Daniel Pink’s Drive book, which said that the most driving factors to bring out the maximum talent is Purpose (is the job aligned to your vision? ), Mastery (Is the job will bring you more skill and mastery, development? ), and Autonomy (Is the job gives you flexibility and autonomy?). What’s more interesting is the book consisted of several profiles of high performers, from whom we can learn that it’s not about something like prodigy child or genius to be a high achiever. We just need a right combination of 4 those things (and of course still many factors unwritten here). The other part of the book is more about how to create an environment, a company, which able to motivate employees to pursue his/her passions, while bring the company forward to. It is well written that companies doesn’t have to give up to ‘tyranny of the or’, whether they should do well (make a lot of profit, but sacrifices other things) or do good (pay a lot of attention not to do harmful, but cannot achieve sustainable business model or profit). How if we can use the power of ‘AND’, do well and do good? 🙂 It’s not impossible. A lot of most successful companies in the world is exactly doing that. Another topic is how to prepare your company to be the most encouraging and supportive workplace for the employees to harmonize and synergize each individual passions and corporate vision. This book, just like the first book, is not a word-packed book. It’s fully exciting book with doodles, images, and just half of it is filled with text. To read this book, I only need around 4 hours. But, let me tell you, if you want to deeply understand it, you will have to stop by every topic and think consciously about what the book explains (well, reading is not the same with contemplating and reflecting, right?) There are so many insightful ‘ingredients’ and ‘nutrients’ inside this book that worth read and thought in longer hours.